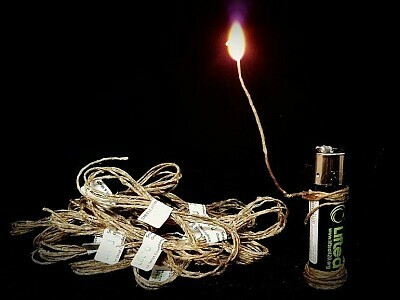 Bee Line Hemp Wick was born from the desire to find a better alternative to smoking with a lighter. "After doing extensive research on butane and learning all about the harmful effects that C4H10 (the building blocks behind butane) can have on humans, we immediately starting experimenting with more natural ingredients to harness the power of portable fire. We eventually settled on a mix between hemp string and beeswax that today has become commonly known in the industry(due to a term that we coined) as Hemp Wick .Today we harvest our hemp in Eastern Europe and ship our award winning product to 34 countries around the world. We take pride in our work and are honored to be considered the connoisseurs choice of Hemp Wick."